A graduate of Harvard, Rabbi Skirball received a doctorate from Columbia as well as an honorary doctorate and the presidential medallion from the Hebrew Union College. 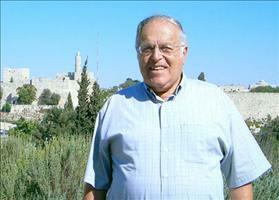 He was a member of the faculties of Northwestern University and the Hebrew Union College. He was National Director of the National Federation of Temple Youth, the Association of Jewish Youth Directors of North America and advisor of the North American Jewish Youth Council. He and his family made aliyah in 1971 where he served as Director of Youth Programs for the Reform Judaism movement and chairman of the Department of Education and Culture of the World Zionist Organization He served as national president of the Association of Americans and Canadians in Israel and chairman of the board of Interns for Peace. He is married with two daughters and four grandchildren.